GoingIT has the complete expertise, knowledge and resources for LAN/WAN solutions and support services. Our professionals are experienced, certified and are trained in the latest hardware and software. 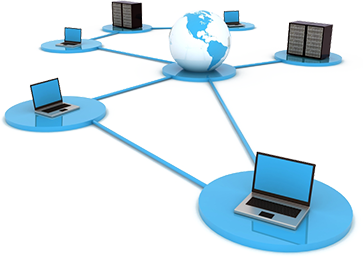 GoingIT Network Engineers support multi-vendor, homogeneous and heterogeneous Network Environments. GoingIT provides professional technical services for all phases of networks. We pride ourselves on quality and service. GoingIT provides its clients with strategic reviews of their current and future network. GoingIT assists customers with their physical, logical and operational network infrastructures. Our services produce detailed network specifications and implementation tactics necessary to achieve our client's goals. We provide our clients with reports to identify exact technology implementation to be used, a process to integrate with the existing system, the future configuration and implementation. Networking is that the single most powerful promoting maneuver to accelerate and sustain success for someone or organization. It's regarding creating connections by building enduring, interdependent relationships.